What were the highlights of your India tour? It would be very difficult to choose a specific moment as the entire trip was fantastic! I had such a wonderful time returning to Delhi, Pune, Mumbai and Bangalore. Each of the organisations that hosted and presented me were so enthusiastic and very well organised. I might have to single out Pune a little bit, because for me, the Concert Grand Blüthner Piano housed by Mazda Hall and the Poona Music Society, was the best of the four pianos I performed on this trip! Do you plan on visiting in the near future? Of course! I plan to return within the next 2 years to give another tour. I would love to extend my visit next time to include a few more cities and conduct educational programs and masterclasses for students. Your favourite piece and composer? What was the overall audience reaction to your concerts? I was so happy to see that my performances were quite well attending during this tour – not for myself but for the fact that so many people were interested in attending a Western classical music concert! I appreciated very much how enthusiastic the audiences were. 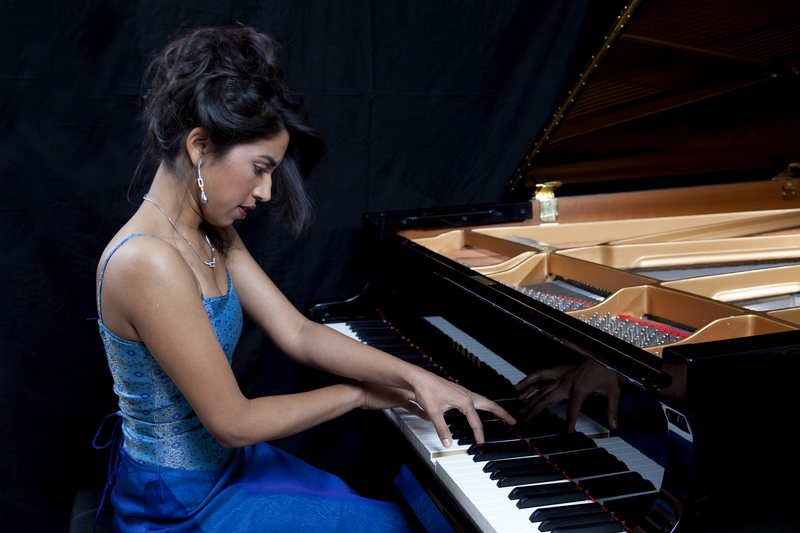 What advice would you give to aspiring pianists here in India? Music is an art form that all can enjoy, whether they play, listen, or just appreciate. I think the most important piece of advice I could give to young aspiring pianists in India is to expand their knowledge as much as possible – read about different composers lives, listen to recordings of great artists – not just pianists, but violinists, singers and orchestras. It can be challenging in India as Western classical music is not a constant part of the culture yet. But there is always time in life to learn, and the most important thing is to have the love for it. Never treat music as a chore, a job or work. Instead, let it be the sanctuary you seek for peace, love, inspiration and soul searching. I have a few weeks of holiday now, which I will spend in Hong Kong with my family. Then back to Berlin and on the road again! Previous ArticlePallavi Mahidhara – A Name To Watch! Next ArticleWHY OPERA AT HABITAT?